A small museum located less than 100 yards from where the game began. Match balls have been hand stitched on this site for over 180 years. A wealth of rugby memorabilia for the rugby enthusiast. The museum is situated opposite Rugby School in the original building where William and then James Gilbert, boot and shoe makers, moved premises from High Street in 1842 to expand their rugby footballs manufacturing business. This tradition still continues today on site with Webb Ellis Ltd, giving it the accolade of having the longest continuous association with the game of rugby in the world. Learn about the traditional manufacture of the rugby ball from its origin as a pig's bladder to its highly technical production today. Find out about the game's beginnings including the exploits of Rugby schoolboy William Webb Ellis and his 'fine disregard for the rules of the game' to the establishment of the first formal set of rules at Rugby School. Discover how rugby grew into the popular international sport we know today. The museum is unstaffed and visits are self-led. 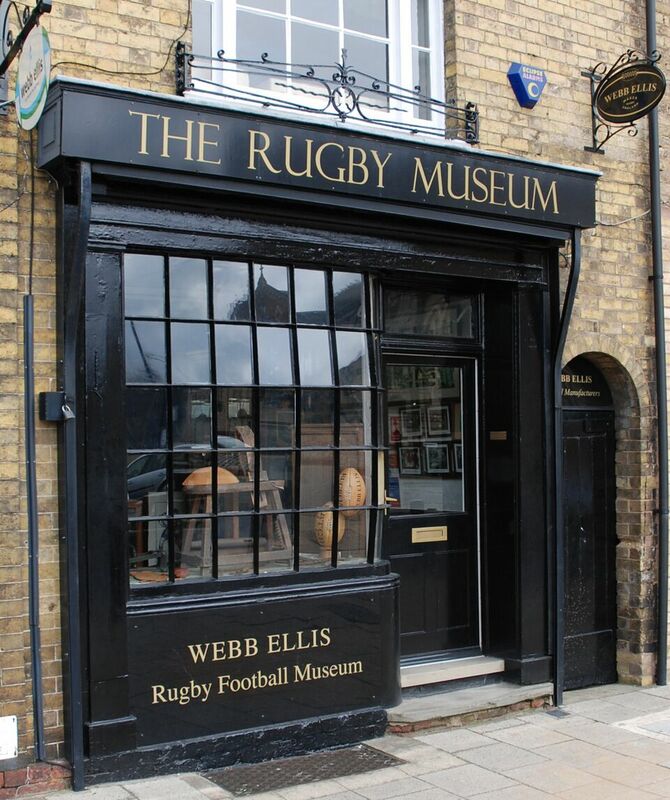 Also in the town, be sure to check out The World Rugby Hall of Fame and Rugby School Museum. Mon-Sat 9:30-17:00. Open on certain Bank Holidays (please ring to check). Closed on Sundays. Visitors in a wheelchair: access is limited, please call the Webb Ellis shop on 01788 567777 prior to your visit.